A blogger meet up is always fun, so I was so happy when Monica from Doin Dubai contacted me for a fun lunch meet up at Cocktail Kitchen. We had a few options for the starters ranging from Spanish Omelette to a creamy burrata, we opted for the Popeye salad, sizzling sausage, burrata, fritto misto and beef carpaccio. By far for me the burrata was the best dish, creamy and went well with the sun-dried tomatoes, the sizzling sausage was a tad bit spicy but packed with lots of flavour. For the mains since it was 6 of us we opted for the risotto funghi, the left leg of the lamb, paella and roast beef. The risotto although a tad bit too salty was one of my favorite mains. The Paella (mixed with chicken and seafood) was delicious and the only reason it wasn't all gobbled up was because it was the last dish to arrive. We also opted for the lamb leg served with parsnip puree and glazed onions which I didn't try since I was already stuffed from the previous food (aka burrata) but everyone at the table loved it! The roast beef was well seasoned and cooked till medium well, this was served with a bowl of roasted potatoes and ofcourse the combination worked. Doesn't potato go with anything, anyways? For the dessert we opted for the dessert platter which consisted of a tiramisu, negroni ice-cream, and apple terrine. My favourite was the tiramisu which was moist and fluffy. Our final cocktail was "thyme after thyme" mixed in with ginger ale and sparkling wine. They also have an allocated area where you can book for a cocktail class! Isn't is pretty? 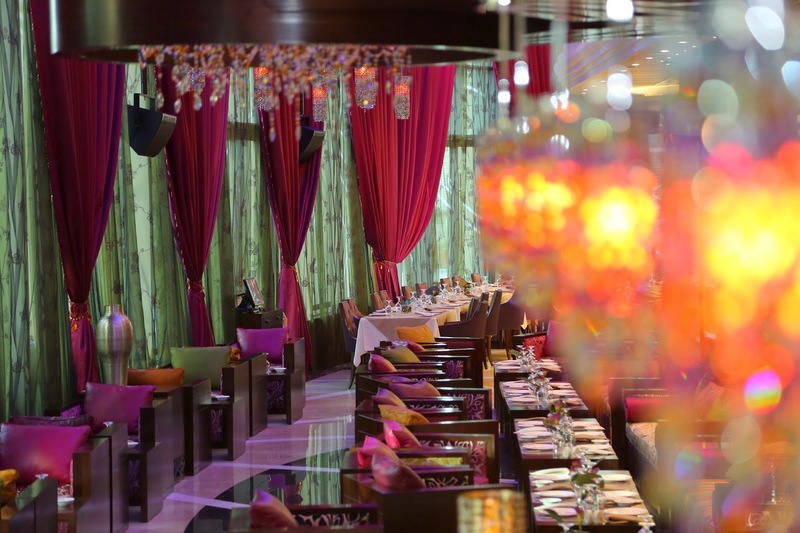 The brunch is priced at AED 345 with the cocktails and AED 195 for the non-alcoholic one. It's available every Friday from 1 to 4pm. Do check them out and let me know what you think!